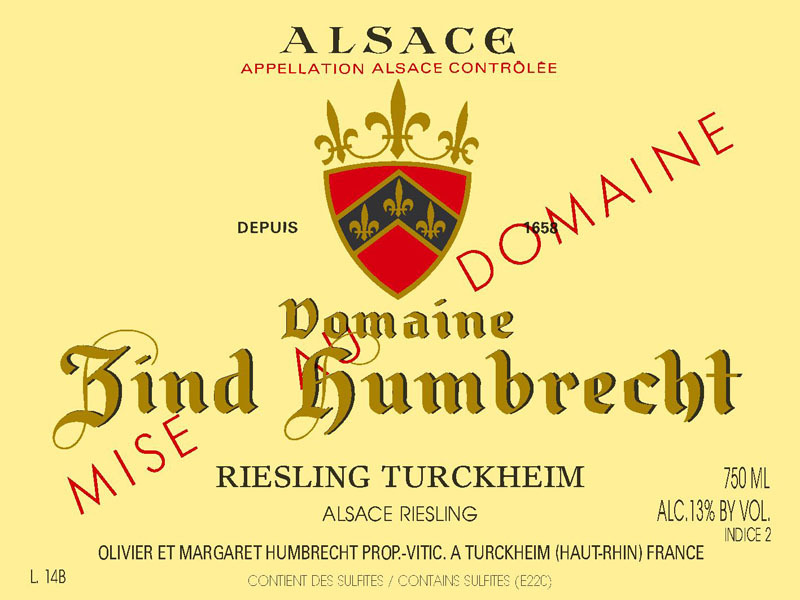 Unlike the ‘Terroir d’Alsace’ this wine only comes from the Herrenweg area and was harvested with a surprising acidity and quite an important richness. Few Riesling developed noble rot in 2010, but the precocious gravely soils of Herrenweg eventually allowed for some grapes to concentrate with botrytis. This wine could have been blended with the Terroir d’Alsace, but predictably, with noble rot, the fermentation was slow and didn’t manage to finish all the sugars. 3/2012: gravelly/silt soils produce very aromatic expressions of Riesling, and here there is no exceptions in the rule. This is probably the most open Riesling of 2010. The nose shows typical fruity flavours enhanced by this little noble rot touch (white fruits, light bee wax). The palate is generous and quite ample, but before we expect some sweetness, the acidity kicks in and allows the finish to be drier than expected. This wine surely has a nice ageing potential, and with age, it will taste even drier.